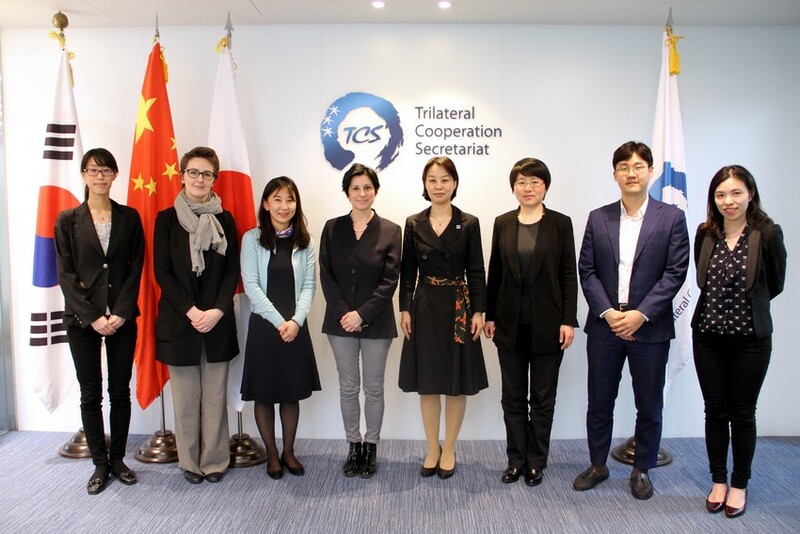 Representatives of the Delegation of the European Union to ROK, headed by Dr. Joelle Hivonnet, Minister-Deputy and Head of Political, Press and Information Section, visited TCS on 12 April 2019. Ms. HAN Mei, Deputy Secretary-General, met the delegation and discussed potential cooperative projects between TCS and the EU Delegation. The delegation introduced their main projects in the area of environment. Noting the experiences of the EU and its implementation of relevant policies, Dr. Hivonnet expressed strong interest in collaborating with TCS to facilitate regional level discussion. DSG Han underlined trilateral efforts to tackle environmental challenges under the mechanism of the Tripartite Environment Ministers’ Meeting and introduced the contributions of the TCS in the mechanism, such as the Trilateral Teachers’ Exchange Programme in 2017, and TEMM20 Youth Forum in 2018. 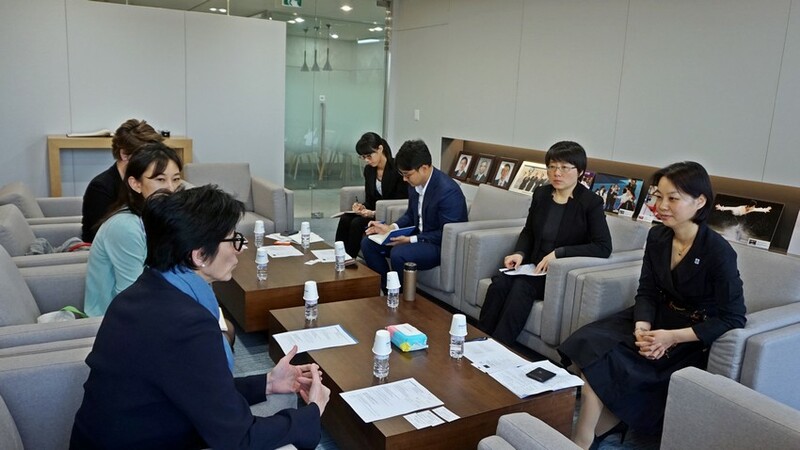 She hoped to explore future cooperation opportunities with the EU Delegation to ROK to further promote environmental protection in Northeast Asia. The two parties acknowledged the broad potential of cooperation on common topics of interest such as air pollution, energy and raising public awareness, and agreed to closely communicate and increase mutual learning opportunities.